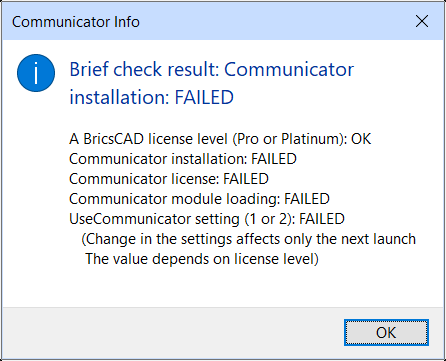 Summarizes the software's licenses for BricsCAD, BIM, Mechanical, and Communicator through a dialog box. LicEnterKey - enters the license key number. 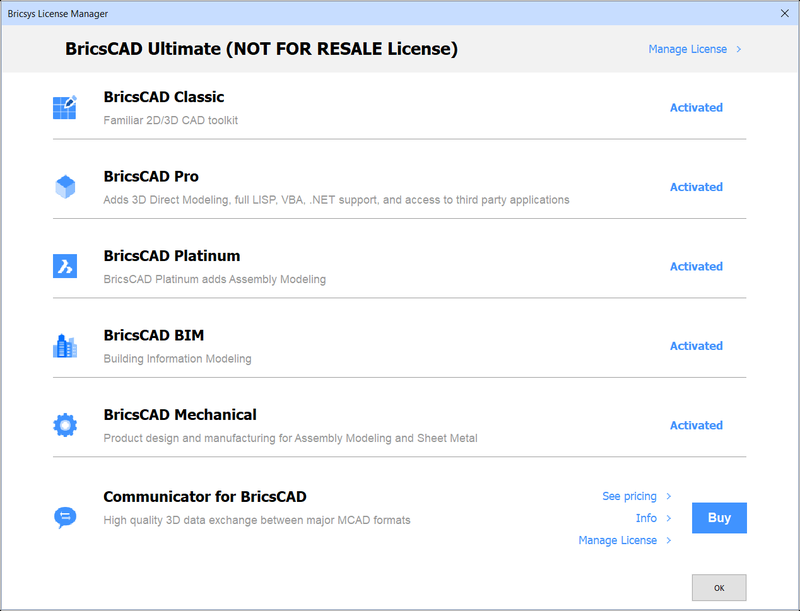 RunAsLevel - allows to run BricsCAD in a lower license level.